Bluffing – for the “layman”, it’s probably one of the first words that pop into their heads when they hear about poker. And in a certain way, they’re right to make that association. See, bluffing is an essential tool to overrealise your equity in poker. “Overrealising equity” is just a posh way of saying ‘win the pot more often with your hand than it would win if it went to showdown each hand’. Let’s say you have KQ off-suit in middle position and you open, and a good reg calls in the cutoff. If we give them a reasonable calling range, you have about little over 52% equity going to the flop. If you manage to win the pot more often than that, you have successfully overrealised your equity. It is incredibly important to be able to do that, since that’s what makes or breaks a good poker player. If you aren’t able to do that, then you are at the mercy of the deck. At that point, based on the assumption that other people are going to bluff you from time-to-time, are you really better off than just playing a slot machine or buying a scratch-off lottery ticket? One is called “the blue line”, or “the showdown line”: this is when you make your opponent put more money into the pot with a worse hand by value betting intelligently. The naming of the lines come from HUD reports. The other is called “the red line” or the “no showdown line”: this is when you make your opponent fold a better hand by bluffing well. This time, we’ll be examining bluffing and, more specifically, how often it should be done. First off, when discussing bluffing, we need to be familiar with another poker term: fold equity. Fold equity is the percentage of time your opponent is going to fold their hand to a bet or raise. Unlike “regular” equity, it can’t be calculated using combinatorics; it’s something very specific to poker strategy. You need to take your opponent’s whole range and see what hands are there that they would be willing to let go of. Let’s take another example: you open KQ suited from the middle position, and a good reg calls in the cutoff. The flop comes 76A, two hearts. 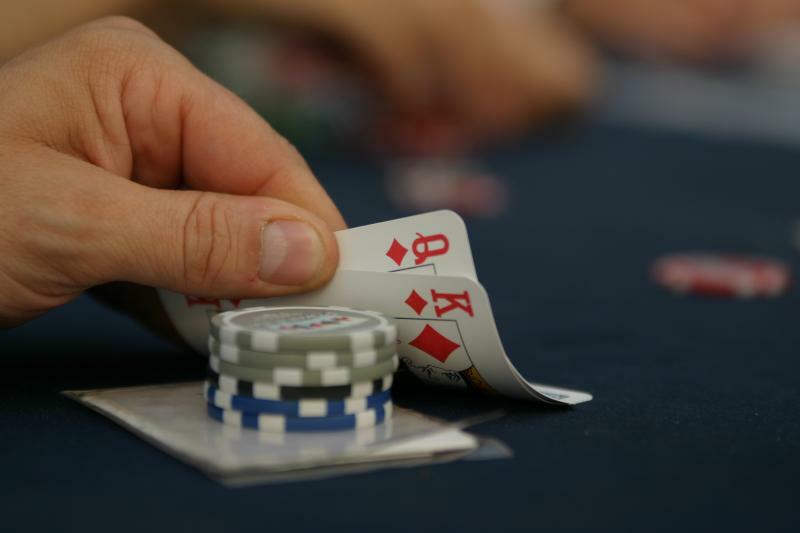 You’re out of position, the action is on you – however, you are the pre-flop aggressor. Should you take a stab? Now, you have to think about how those cards connect with the reg’s range. Part of the reg’s possible hands are Aces with middling kickers and suited Aces with low kickers – it’s unlikely they’re going to fold either of those. If they made a set of 6’s or 7’s, evidently there’s no chance they’re folding either. Flush draws are also going to call any reasonably sized bet, and if he happens to have 98 suited, so are the opened ended straight draws. On the other hand, if they just have two broadway cards (KJ, QJ, QT) or a suited connector that missed (T9 suited, not of diamonds only has a gutshot) or a pocket pair that did not make a set and would be afraid of the Ace on the board, your bet is likely going to get through. Keep in mind though that you are blocking some of the broadway card combos since you are holding KQ yourself. You need to evaluate what percentage of their range is the above mentioned folding range in order to determine through EV calculations whether or not your bluff is profitable on the long run. However, for this piece, we want to focus on general truths about over bluffing frequencies rather than specific hands. These few paragraphs were just to make sure to cover the basic theories behind bluffing before diving into how often you should be making these moves. The right bluffing frequency varies from street to street. As a rule of thumb, you can bluff more frequently on earlier streets because you can improve your hand therefore you have extra equity in addition to your fold equity – that is unless you’re drawing dead — which is impossible pre-flop, the only street where that is the case. Even 7-2 off has 10-12% chance against Aces, depending on the suits. This is noteworthy since the correct value bet to bluff ratio calculations are based on pot odds. The assumption is whenever you bluff, you’ll win the pot 0% of the time if you get called; whenever you value bet you’ll win the pot 100% time if you get called. Evidently, it’s not as clear-cut in actual poker games, especially the value betting part of that assumption is often far from the reality, every poker player value bets with a worse hand from time to time – however, this is a GTO calculation, not a real game of poker. On earlier streets, even when caught bluffing, you’ll still improve to a better hand some percentage of the time, that is why – as we mentioned earlier – you can profitably bluff more often early in the hand. So, the numbers below assume 0% raw equity – this usually means the river when you have no made hand. If you bet 1/4 pot, you should have 17% bluffs and 83% value bets. That is around 6 value bets for each bluff. If you bet 1/3 pot, you should have 20% bluffs and 80% value bets. That is 5 value bets for each bluff. If you bet 1/2 pot, you should have 25% bluffs and 75% value bets. That is 4 value bets for each bluff. If you bet pot, you should have 33.3% bluffs and 66.7% value bets. That is 3 value bets for each bluff. If you bet 2X pot, you should have 40% bluffs and 60% value bets. That is 5 value bets for every 2 bluffs. All of these are based on the pot odds you’re giving your opponent with your bet. The idea is if you bluff this often in proportion to your value bets, they don’t have an edge against you when deciding between a call and a fold. Let’s say the pot is $100, you bet $50, half pot bet. Now, if you bluff 50% of the time your opponent can call every time and make a profit. Here’s how it’s calculated: he’s paying $50 to win a pot that is going to be $150 (not including his $50 call which should not be included in the profit for the calculation); and – once again, assuming that every time you value bet and get called they lose – they’re going to win that pot 50% of the time. That means that on the long run he’s making (0.5X$150)-(0.5X$50)=$50 if he calls you. However, if you bluff with the correct frequency, 25% of the time, your opponent still has to put in $50 to win a $200 pot, but he’ll only win 25% of the time. This means, using the same type of expected value calculation: (0.25X$150)+(0.75X-s$50)=0. He’s not winning or losing, he’s exactly breaking even. This means that your bluffing frequency isn’t an indicator for your opponent when they’re about to make their call – and as a good, balanced player that is what you should strive for. Also, this kind of thinking implies that the other player is also highly competent. You can’t expect casual online micro stakes players that play against you for the first time to really analyze your river half pot bet tendencies. For lower stakes players, this is more of a guideline to have some bluffs in their range, but not too many. Although please note that all these calculations alone do not tell you how often you’re betting as a whole. These are just ratios. Ratios can stay the same if you bet 100% of your range in the river or if you only bet 10%. The key is if you value bet often, you also need to keep your bluffs proportionate as well. Evidently, if you you’re not an aggressive player and value bet less, you need to bluff less often too in order to remain unexploitable. 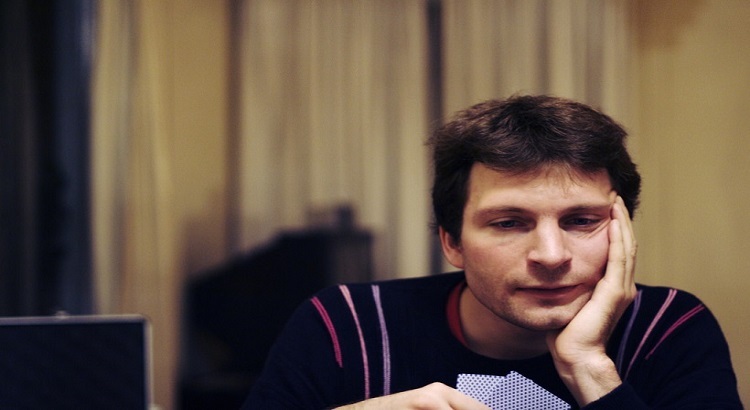 This post was written by Marton Magyar, the Beating Betting poker strategy contributer. Marton has also written for sites like HighStakesDB and PokerTube.